TUCSON, AZ (Tucson News Now) - They’re packing up the wheels in southern Arizona. A big bicycle chain store is going out of business, forcing its two local stores to close. The signs inside Performance Bicycle near Broadway Boulevard and Kolb Road on the east side of Tucson: “STORE CLOSING.” Big posters inside remind customers of huge price drops, discounts, and that all sales are final. Paige Redman of Tucson took a test ride Sunday night, December 16. The avid cyclist and customer wanted to feel out her potentially new performance bike. "Riding is life, for me. It just keeps me going. The community is very supportive," she said. But she's leaving with mixed feelings, as the store's spokes will stop spinning. "I'm like 'Woo-hoo! Awesome bike prices.' But also, it's also kind of sad because you know that this place isn't going to be here in a few months," Redman said. Performance Bicycle announced the news on its website, informing customers of the changes. 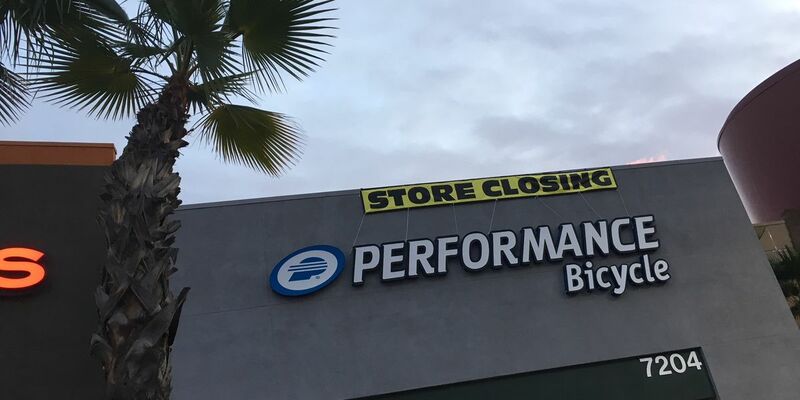 "The parent company of Performance Bicycle has entered into Chapter 11 bankruptcy protection, and as a result there have been significant changes to our businesses. Currently, all Performance Bicycle stores are holding Store Closing Sales," the site stated. Employees told Tucson News Now they’ll likely be shutting the doors for good at the end of February. But they said that new owners could come in and revive the bike shop under a new name, should they decide to keep the space as a bike shop. It's the end of the riding road for the stores in Tucson, with a second location near Speedway Boulevard and Country Club Road. "It's good for the local shops," said Dylan Moeykens, the assistant manager at the Broadway and Kolb store. Moeykens said he saw it coming when the parent company decided to close the original 50 stores. It's left him with a feeling of disappointment. "Really bummed out," he said. "Most people have been shopping here for 20 years. They're all really attached to this place and they're sad to see it go." Because the big biking community of Tucson is attached. Redman started working at the Broadway and Kolb location recently just to get closer to her passion.